Just like its predecessor, the Nokia 6 (2018) will be exclusive to Carphone Warehouse in the UK. The updated model is set to launch tomorrow at a price of £230 SIM-free (the 2017 model is currently going for £200). 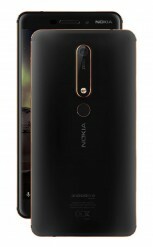 Despite CW’s exclusivity among retailers, the new Nokia 6 should also be available through Nokia.com. The Netherlands should get the 6 in May at a price of €280 for the 32 GB model (and just €20 more for the 64 GB one). Some stores are already accepting pre-orders. MediaMarkt may have it as early as this Friday, PDAshop claims that units will be available on March 23, Belsimpel says “in two weeks”. PS. All three stores will throw in a free Chromecast worth €40. Update: It's already available on Elkjop Norway at NOK 3,000. MediaMarkt Germany is taking pre-orders at €266, to be available in 6-7 working days, same for Saturn. Thanks to our commenters for pointing these out! 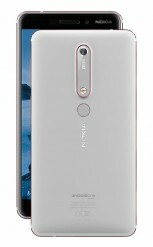 The Nokia 6 (2018) is already available in India and is coming to the US in May. 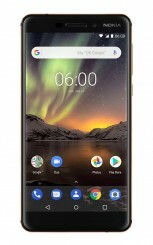 Hope Nokia don't shaft UK Nokia 5 owners and leave us on Android 8.0! Is this Android 8.1 or 8.0? I have Nokia 5 and its still on 8.0 in UK.